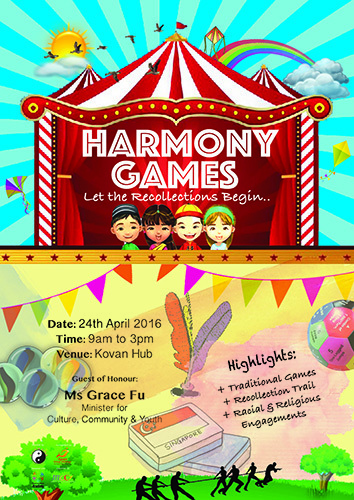 The ninth edition of the Harmony Games brought a carnival atmosphere to Kovan Hub on 24 April 2016. 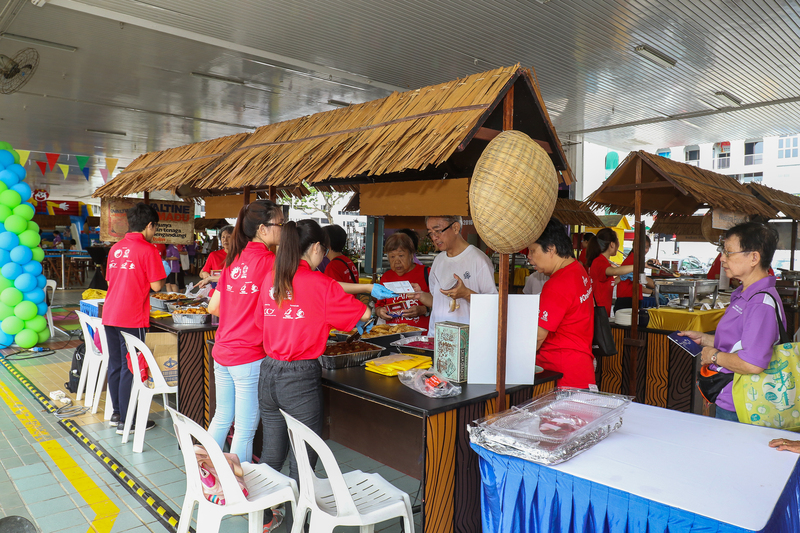 A giant inflatable slide, various nostalgic games, and delectable cultural snacks were some of the main attractions at this year’ s event. 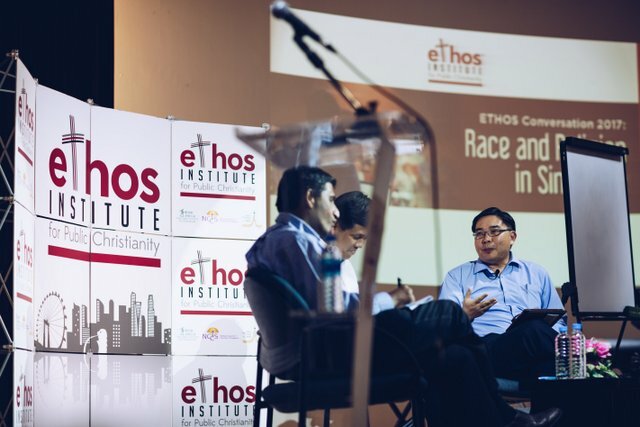 In order to encourage greater participation from Singaporeans at large, the organisers did not require participants to register beforehand. Instead, anyone could sign up for a Harmony Pass on the spot, complete it by collecting stamps at the various game and food booths, and earn a bonus prize upon completion. A warm ‘ kampong spirit’ was felt as the traditional games drew interest and fostered interactions between young and old, locals and those of other nationalities, members of various ethnic groups and religions, able-bodied and physically-challenged. 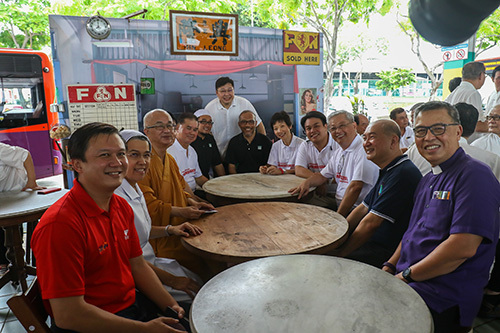 Minister Fu had earlier visited the traditional games and food booths, and viewed an exhibition featuring the customs and traditions of different faiths. She also joined religious leaders and Team Singapore athletes in a life-sized version of Snakes and Ladders that tested players’ knowledge of various religions. Said the emcee, “It’ s not every day that you see 10 different religions gathered in one place,” and indeed it was heart-warming to see the leaders of these religions chatting and laughing over food and drinks at the event’ s nostalgic ‘ coffee-shop corner’ . 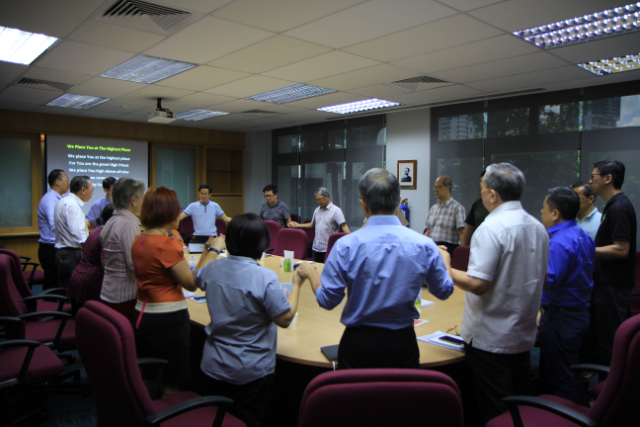 Bishop Dr Wee Boon Hup was in attendance as President of the National Council of Churches of Singapore(NCCS), along with other representatives from NCCS and the Christian faith. The NCCS had initiated the Community Engagement Games day in 2008, the fore-runner of the annual Harmony Games, which the various religious groups take turns to host. Highlights of this year’ s event included a Wushu demonstration, a ventriloquist performance, and the official flag-passing ceremony in which this year’ s organisers, Taoist Federation (Singapore), handed the Harmony Games flag over to the organisers of next year’ s Games, the Islamic Religious Council of Singapore or MUIS. 2017 will mark the 10thedition of this uniquely inter-religious participatory event. 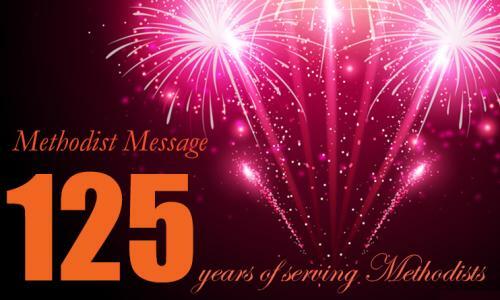 Grace Toh –is Assistant Editor of Methodist Message and has been a member of Kampong Kapor Methodist Church for most of her life.